Kids are going to love this fun kids activities where they are actually encouraged to play with their food before they eat it! 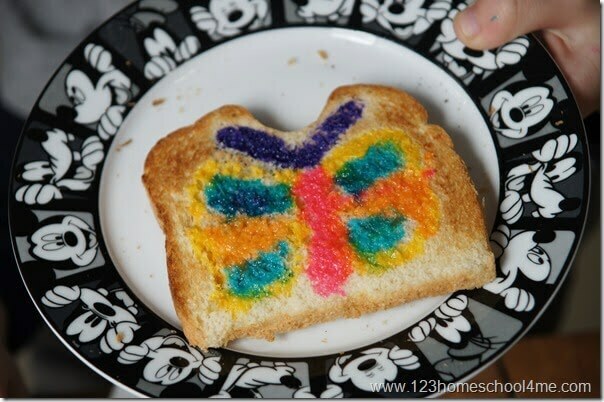 This Milk Toast Rainbows is a great activity for Saint Patricks Day, spring, weather unit, or a color unit for Toddler, Preschool, Kindergarten, 1st grade, 2nd grade, 3rd grade, 4th grade, or 5th grade kids. This is such a bright colorful activity kids love! Not only is it a great activity for spring, but it makes a yummy snack too! This activity is great for kids from Toddler, Preschool, and Kindergarten, to 1st-5th grade too. 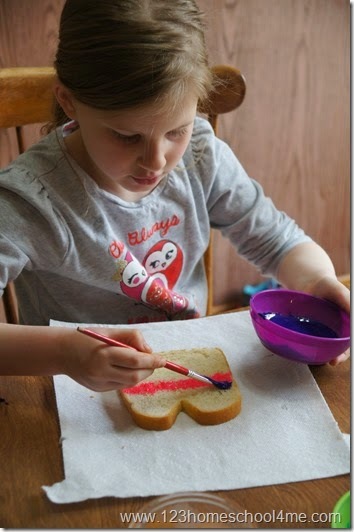 All you need for this activity is bread and some dishes filled with sweetened condensed milk with food coloring. 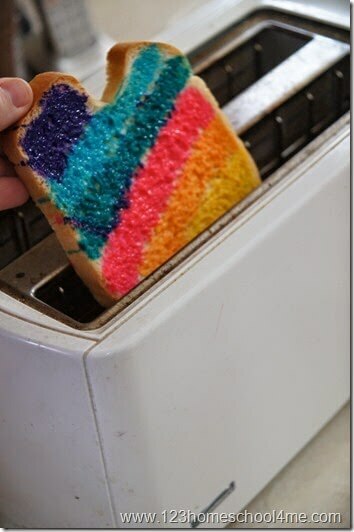 Now pop your painted bread in the toaster. This step is optional, you can just have milk bread if you like, but we enjoyed ours toasted. Note: We did not have any paint get in our toaster; I think blotting the bread with a paper towel is the success. When it comes out it may be slightly moist in some areas, that’s okay. So yummy! It was as yummy as it was pretty!